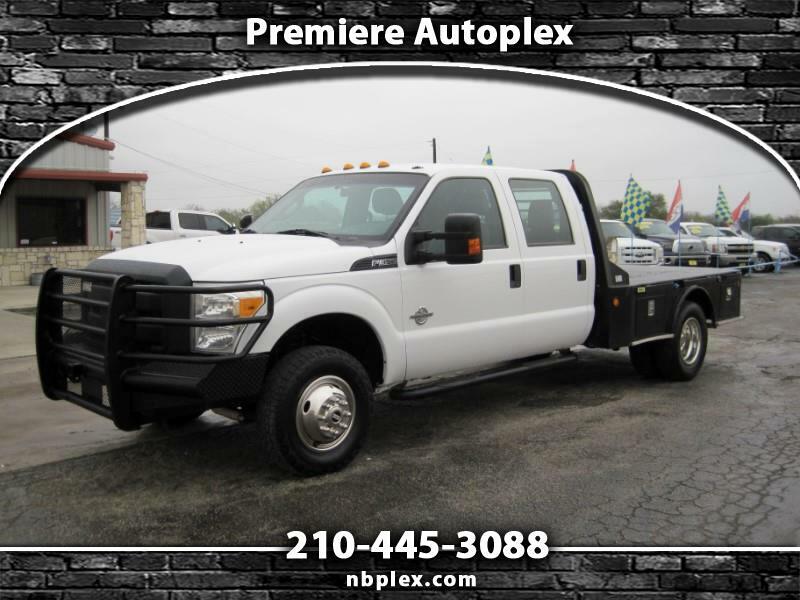 2014 Ford F-350 Crew Cab, DRW, (Dually) Flatbed, 4x4, 6.7L Powerstroke Turbo Diesel, Automatic, Gooseneck Hookup and Receiver Tow with integrated brake controller, Ranch Hand Replacement Bumper, Vinyl Seats with rubber floors, Tires are like new, mP3 Cd with line input, Upfitter aux switches, tilt/cruise, Tow Mirrors, power windows, and power locks, recently serviced with fresh oil change and fuel filters, this Dually is ready for work or play with only 127k Miles !!. 1 Owner / Clean Carfax report ! !